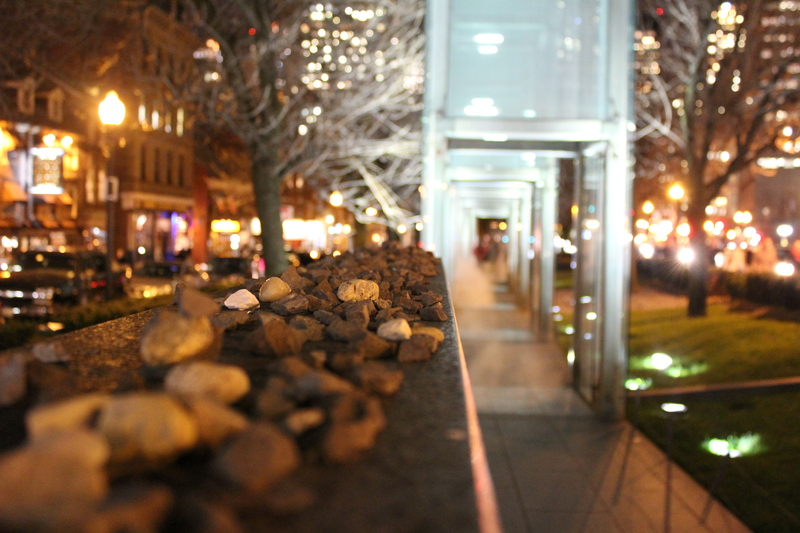 The Holocaust Memorial in downtown Boston at night. There are a lot of ugly things in the city, but not this bridge. 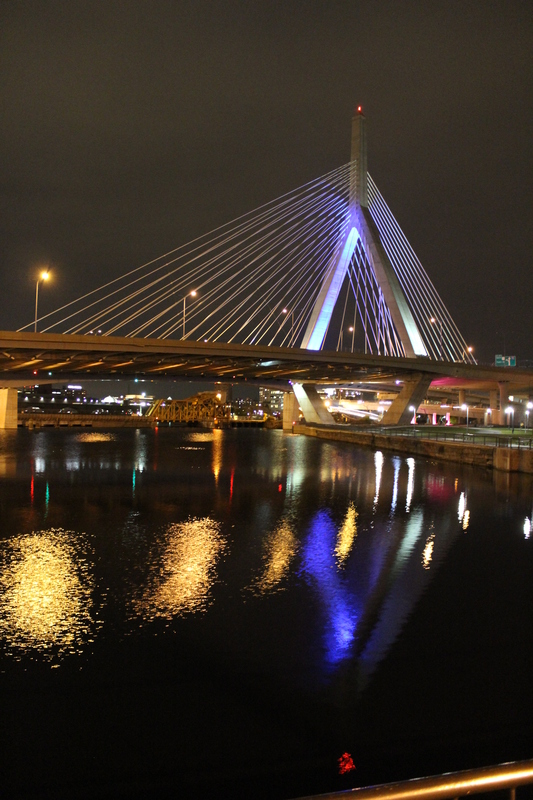 The Leonard P. Zakim Bunker Hill Memorial Bridge is one of the largest cable stay suspension bridges in the world. At one point, it was part of the largest construction project in the world, the Big Dig, until the hotel in Dubai surpassed it. Today, it acts as the gateway into Boston from the North and is lovely at night. On Thursday, former Mayor Tom Menino died in Boston from cancer. Today, Faneuil Hall hosted a wake for him. Though a lot of people did not show up, it was a well attended event. 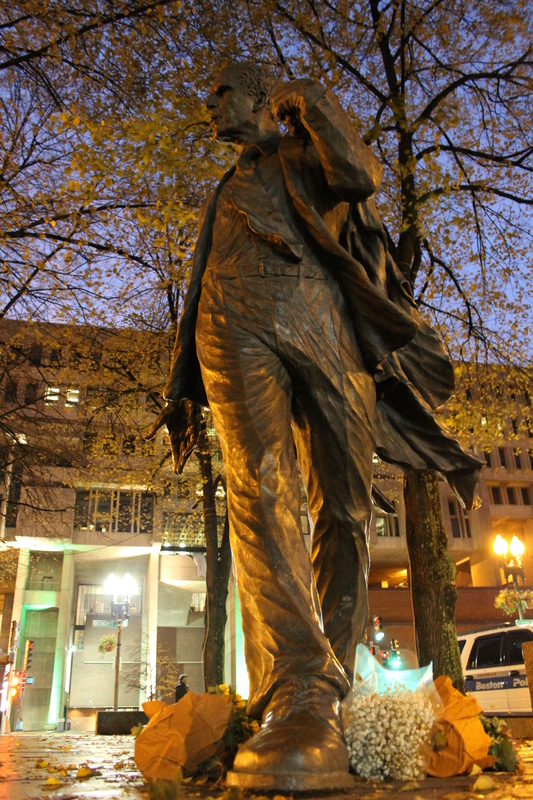 Flowers were left everywhere, including on the statue of former mayor Kevin White.